More units of the Academic Staff Union of Universities, including the University of Ibadan and Ahmadu Bello University chapters, have voted for the suspension of the strike by the union during chapter congresses held nationwide. The union met with a Federal Government team led by President Goodluck Jonathan last Tuesday in Abuja. Government has promised to inject N220bn yearly into the public universities for the next five years. The ASUU leadership, after briefing the zonal coordinators on the offer, had directed the local branches to organise congress meetings between Friday last week and Tuesday (today). This is to enable all the lecturers to make input into the action the union would take after its NEC meeting on Thursday. As at press time on Monday, 20 of the 28 chapters that had concluded their meetings supported the suspension of the strike, while the remaining eight preferred that the varsity teachers pressed on with the strike. The teachers in the University of Abuja, for instance, supported the suspension of the strike but listed conditions that must be met by the Federal Government. A source at the meeting on Monday said the congress demanded that the withheld three months salaries of the lecturers must be paid. “Members also demanded for commitment on funding. We also want assurance from government that no lecturer will be victimised on the account of participating in the strike. We also asked that the template for sharing the earned allowance should be prepared within the next two weeks,” the source added. The conditions were the same for Nasarawa State University, which voted for continuation of the strike. Chairman of ASUU in the school, Dr. Theophilus Lagi, told our correspondent after the congress that as far as his members were concerned the strike should continue. He said, “There are certain grey areas that must be cleared. The ‘no work no pay’ policy must be sorted out. Government must pay lecturers the arrears. “We also need evidence that the N200bn that government promised to release this year is in the central bank. We are not going to suspend the strike until the money is there and available for sourcing. That is the position of the congress. “Nobody trusts government. They have been making promises since 2009 and nothing has been implemented except the N30bn earned allowances. 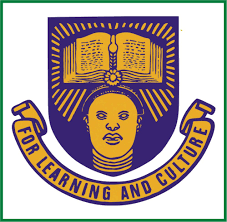 Among the universities that supported that the strike be called off are Ahmadu Bello University, Zaria; Federal University of Technology, Minna; University of Lagos; University of Ibadan; University of Calabar; University of Port-Harcourt; Federal University of Technology, Akure; Usmanu Danfodiyo University, Sokoto; and Ekiti State University. The list also include the Federal University of Technology, Owerri; Delta State University; Bayero University Kano; Imo State University; Federal University of Agriculture, Abeokuta; and Olabisi Onabanjo University, among others. On the other hand, majority of lecturers at the University of Benin; and University of Jos wanted the strike to continue. However, in the Bauchi zone of the union, five universities voted for continuation of the state strike, while the remaining three threw their weight against the continuation of the strike.